Karilagan Dance Society was founded by the late Dr. Remedios Borromeo in 1971 in Edmonton. At its inception, the Society was consisted only of the Borromeo family. In 1982, the Society opened its membership to other young Filipino-Canadians who were born here or those who came in early childhood. Over the years, they performed throughout Edmonton, neighbouring cities and towns. In 1986, they represented Edmonton in EXPO' 86, held at Vancouver, B.C. 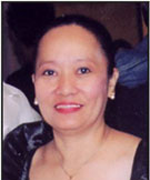 After so many years of dedicated work, the founder announced the end of the Karilagan during the 1989 performance because of her continuing health problem. In 1989, a family-oriented group revived the Karilagan. With members, eight children and eight adults, the ailing founder collaborated another successful performance with her new group. The Karilagan, now under the directorship of Elmina Cochingco, continued the legacy started by Remy and her family. Since then, Karilagan performs during Heritage Days, Canada Day, Promenade, Klondike Days, at hospitals, extended care centres, schools, churches and many other fundraising and cultural events. Winning the "Best Pacific Rim Group" of the year award when they joined, for the first time, the 1997 International Ethnic Dance Competition held in Surrey, B.C. Out of 12 entries, they took home four first prizes, three second prizes and two third prizes. They also received a trophy and gold certificate for Best Pacific Rim Group. In June 1998, during the Philippine Independence Centennial Celebration, the Karilagan won the Katipunan Award for performing arts group category and the Artistic Director Elmina Cochingco won the individual performing arts category. The Karilagan had brought its cultural production to the United States. In August 2000, they performed in San Luis Obispo and San Francisco, California. In July 2002, they performed in Los Osos, San Luis Obispo, Whittier and San Jose, California. In the same month, they performed at the Philippine Pavilion during the Klondike Days Exposition when the Philippines was the featured country. The Karilagan dancers also graced the Philippine entry of the Council of Edmonton Filipino Associations (C.E.F.A.) at the Klondike Days Parade, winning the "Best Entertainment" and First Prize in Non-profit Association - Cultural category. At the Miss International Canada 2003 beauty pageant, held at Winspear Centre in July 2003, the Karilagan performed the opening number "Fairies in the Forest" and tribal dances with the Kalinangan Dance Troupe of Montréal. In July 2003, the Karilagan, together with the Kalinangan Dance Troupe of Montréal, participated in cultural exchange workshops, held in Montreal and Edmonton, under the sponsorship of the Exchanges Canada. Having its own float, the Karilagan joined the Klondike Days Parade in Edmonton. In July 2004, the Karilagan performed two shows in New York City - the Philippine Consulate and Queen's Botanical Garden. In August, 2004, the Karilagan performed the opening number entitled " A Child's Dream," portrayed by five-year-old Geline Cochingco at the Miss International Canada 2004 beauty pageant held at Winspear Centre. In August 2005, the Karilagan performed the opening number at the Miss International Canada 2005 beauty pageant held at Winspear Centre. Karilagan dancer Micaela Smith won the prestigious title, she represented Canada in the Miss International competition in Japan in October. In May 2006, Karilagan competed in the Annual Town Fiesta Song and Dance Competition in Talavera, Nueva Ecija, Philippines and took home 13 trophies with nine first prizes, three second prizes and one third prize. In September 2008, the Karilagan was invited to perform during the Bonok Bonok Festival in Surigao City, Philippines. In May 1995, the Karilagan honored and recognized the first Filipino pioneers who came to Alberta between 1961 and 1969 for their valuable contributions to their own communities and Alberta, as well as the Filipino Seniors. This event was in conjunction with the bi-centennial celebration of the City of Edmonton. In August 1995, at the request of the Chair of the Filipino Pavilion, the Karilagan performed during the three-day Heritage Festival. Since then, the Karilagan has been the primary entertainer for the Filipino Pavilion on Heritage Festival that draws an average of 300,000 people every year. The Hiyas (GEM) Award was launched in 1996 and recognizes the achievements of deserving Filipino-Canadians in the field of academics, education, science, arts, business, sports and community service. In December 2002, the Karilagan commenced its Philippine Hiyas community newspaper. It is published quarterly and is circulated free of charge. In March 2003, the Karilagan gave recognition to the first Filipino Pioneers who came to Alberta in 1972 and before. In April 2003, the Karilagan started another Filipino Christian tradition the 'Pabasa', which tells about the life of Jesus Christ. In September 2004, the Karilagan Choir was formed under the direction of Chino V. dela Torre. Its first project was 'Caroling for Bantaybata No. 163," a Manila-based charitable institution that helps less fortunate children in the Philippines. In August 2008, Karilagan launched its annual golf tournament fundraising event under the leadership of Len C. Molo. To date, the Karilagan has 93 performing members and 158 volunteer members.